Solly Mhlongo and I have been working together for roughly a year and a half. I consider myself to be exceptionally lucky to be paired with a true gentleman who is so dedicated to his job. I find it wonderful that a friendship has developed between us; coming from completely different social backgrounds and at different phases of our lives yet somehow it works. We spend a good 8 hours a day together both on foot and in the vehicle trying to find animals and keep our guests informed and entertained. In the process we have become cemented to each other…we share each other’s highs and lows! We are a team. Those who have driven with Solly and me will know what I mean when I say that our understanding of each other far surpasses the verbal. We have entire conversations without words. Subtle gestures, hand signals and body language are used instead. We even have a series of different whistles so that we can communicate across the bush whilst tracking on foot! 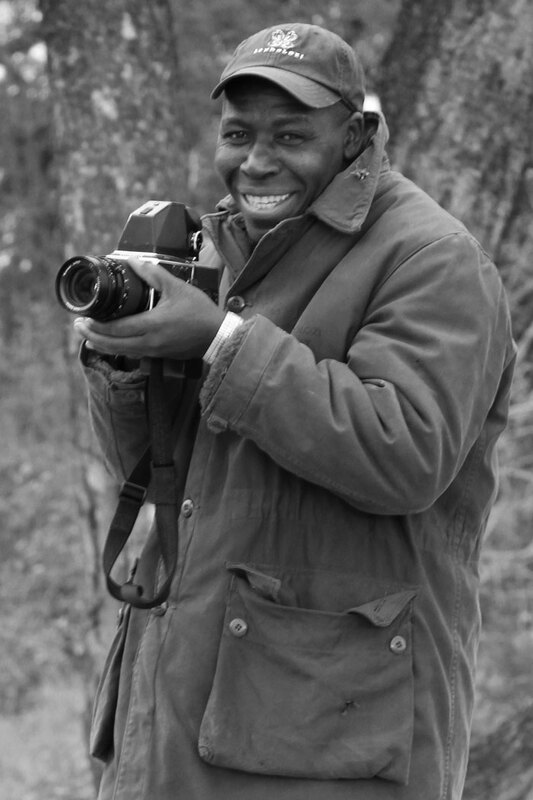 We understand that through silence the bush is able to speak to us. The reality is, is that Solly makes my job an absolute pleasure. He is so very willing to go the extra mile and always does so with a smile on his face. And beyond the guest realm I know that as a person he is there for me…out in the bush his huge amount of experience means the world. He is an overseeing eye, my protector, my mentor, my teacher, my confidant but most importantly my friend. Throughout the past year I have been able to bring you incredible images and footage of animals in the wild. Whilst I am the one who takes the photos and writes the pieces it is Solly who by and large finds these animals in the first place. For this I want to say thank you to a very special man. This relationship is not unique to Solly and myself. 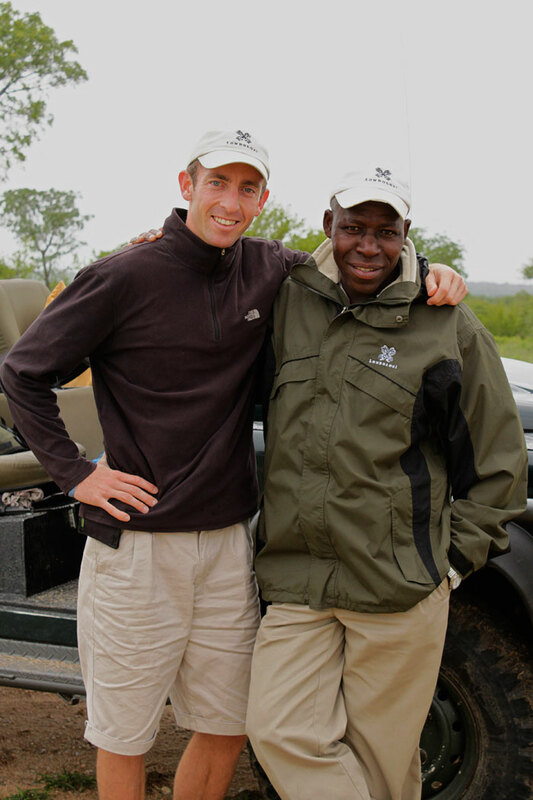 Over the past two decadesr Alex van den Heever and Renias Mhlongo have also developed an incredible bond as a ranger- tracker team and the pioneers of the Tracking Academy. You can find out more about their presentation ‘The Power of Relationships‘ by clicking on the link. This heartwarming sentiment from a rugged ranger tugged at my heartstrings. In my career, I have travelled to many a bush camp. 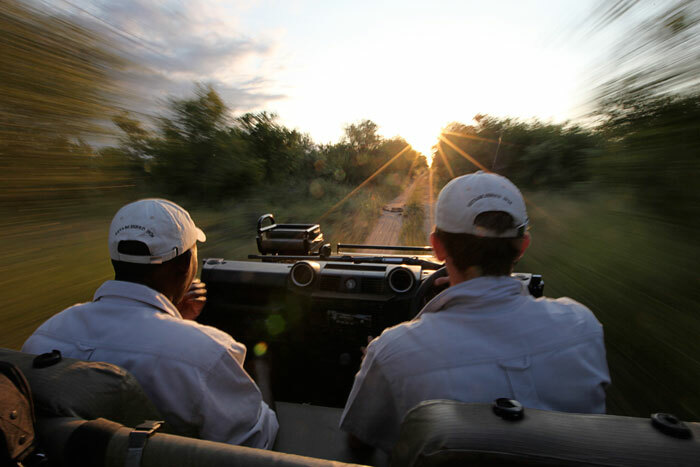 I have felt the emptiness of a game drive experience which lacks the bond between tracker and guide which Adam describes. This sadly leaves guests with a cynical, misguided view of what an important person a tracker is. 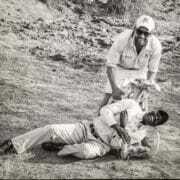 The teamwork Adam and Solly have should be nurtured, indeed celebrated. 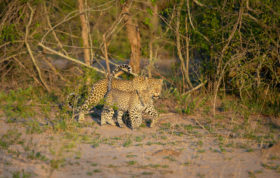 As such, it is always a pleasure to send our valued guests to Londolozi. This is just one part of the magical experience that consistently wows our guests whilst under your watchful care. So well written, and his smile seems to melt me! A true and very special friendship. Two of my very Best people…so very proud of you both !Thank you for all the love and energy you bring. Having sadly left Londolozi a little while ago, I regularly sit in front of my lap top remising over the incredible sightings which are entrenched in my memory. But its the friendships with amazing people like Solly that I truly miss the most. I’ve been in a Range Rover with Adam and Solly, and I can say that the bond speaks volumes, even when not a word is spoken. Londoz is lucky to have you both! I tell all my friends, “I’ve traveled the world, but Londolozi is by far my most magical experience”…and i owe most of those magical memories to my time spent with you and Solly in the bush. It wouldn’t have been as wonderful and magical without you two as my tour guides! I’m trying to get up there within the next year to see you all again, hope you’ll be there Adam 🙂 …And tell Solly we’re coming to dinner at his house this time to meet his family!! Solly Mhlongo – one of life’s true gentlemen. 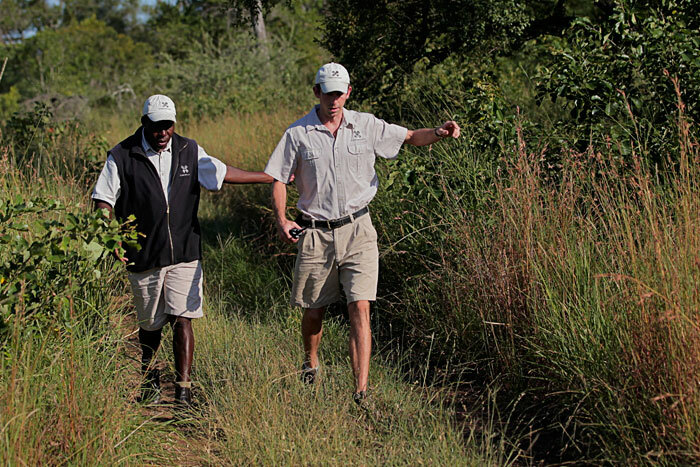 To our family, Solly epitomises everything that is Londolozi. Jeff you are so right! His attitude is in the right place and you can’t help but smile when he is around! Fantastic comment Jeff and one that is absolutely true. The tracker/ranger relationship was a highlight of my stay at Pioneer Camp in November. 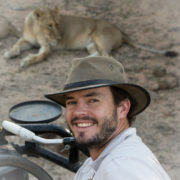 Tracker, Freddy, helped me immensely with getting videos of lions up a tree escaping a buffalo herd. Ranger, Mike, carefully positioned the vehicle on a sighting. The team worked seamlessly and with obvious respect for each other. 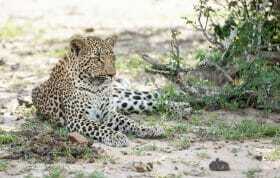 Counting the days till I can return to Londolozi. The pictures in this blog make me want to be there NOW! 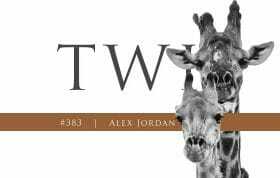 This is such a beautiful piece and brings back the incredible memories we have of our time at Londolozi last August. We still talk about it to everyone we know as the most amazing travel experience we have ever had and that is largely in part to you and Solly (in addition of course to everyone in the fabulous Londo family) Your friendship and compatibility was palpable and really made our time there something special. Hope all is well and that we get to see you again sometime! We spent time with Adam and Solly while on our honeymoon last November. Words cannot describe that we were given the trip of a lifetime thanks to Adam and Solly. We are counting down until we return and hope to see you both again.